But a few short month after being home with my tiny human I realized I needed something of my own. Something I could be passionate about again. I use to run a successful business from home and I wanted something of my own again. Plus I REALLY missed having a disposable income. But how could I run a business when I had no income coming in? And how could I run my OWN business not attached to a larger company who cut my paychecks? I did a lot of looking around before deciding to “launch” my business. I’m a frugal person and wanted to run my business with very little $$ out of my own pocket (I.e. my savings account). What I found was that it’s actually NOT expensive to start and run your own online business if you know where to look. 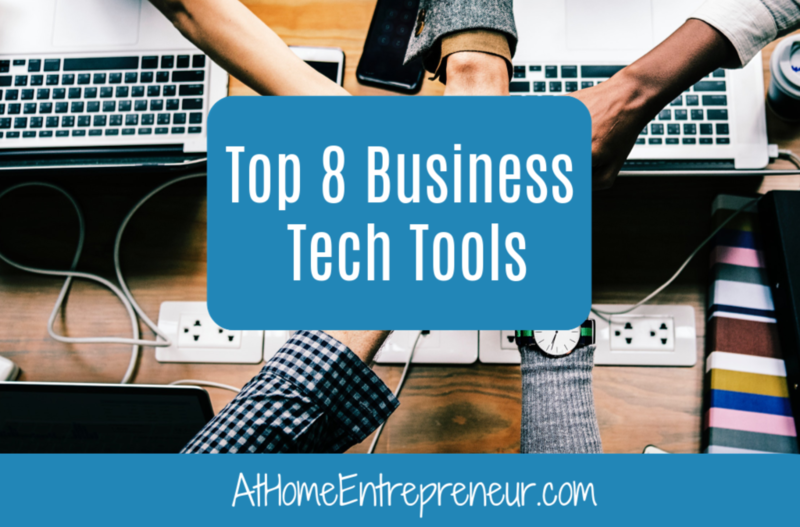 I’m going to share some of my favorite online tech things that I used, and still use to this day, to start my online business. I’ll show you how, even today, I run my entire business for less than $100 a month. Siteground -Is my favorite web hosting site on the market today. As a non techy person their customer service is unbeatable. I have a WordPress plug in through SiteGround, that they installed for me, and any time I have the slightest question they have always been super pleasant and helpful. I have used other places to host my websites before: Wix, Weebly, Bluehost with a WordPress plug in, Kajabi, but all were either not getting the traction my site gets now, they didnt full function they way I needed them to, or they were very expensive for little benefits. I paid upfront for Siteground which cost me $43. But you can pay per month and it comes out to $3.95. ConvertKit – Just as I really love sit ground to host my website on I love ConvertKit’s simplicity for an e-mail marketer. They are also, for a non techy person, very helpful and easy to ask questions of. <-- This is a HUGE bonus to me. When I started out in AtHomeEntrepreneur.com (work with me) I could use my computer really well, Microsoft and the apple equivalents, basic websites, but that was pretty much the extent of my tech skills. Having companies that I use who are very supportive of the non tech guru has been extremely important and helpful to me. ConvertKit is not only a great e-mail marketing service but I host a number of my courses, my 4-week Build Your Online Business for the Busy Mompreneur Course for example, through e-mail. I’m able to send e-mails to my audience and clients with easy. My PDF products all get sent out through ConverKit. It host great e-mail templates, forms, sequences, and has great statistics to help you track your growth. For an e-mail list size o-1,000 the monthly cost is just $29.00. Gumroad– I stumbled upon Gumroad by total accident the I decided I wanted to start AtHomeEntrepreneur.com. Gumroad is a place to host your products, they will directly e-mail web based products out upon received payment, they take payment, and they pay out every Friday. All of my passive income items sales pages are on Gumroad. I no longer have Gumroad send my products for me, I now have my products in my ConvertKit and once a successful payment is made on Gumroad I have a “trigger” set up in both Gumroad and ConvertKit to signal the need to send an automatic email to the customer who has paid. Im sure I just made that sound complicated but I promise it was the easiest thing I set up in my entire business. Remember, I’m NOT techy, so that’s saying a LOT about Gumroad. The best part is that Gumroad is only $10 a month. I have 9 Passive income products hosted through Gumroad even to this day, 100 Days Of Content In Minutes – The Ultimate Guide To Content Creation & Social Media – Make Money On Auto Pilot– 4 Week Build Your Online Business For The Busy Mompreneur, and it has only ever cost me $10 a month. They do take a fee out for each transaction made, just as PayPal and stripe do, it’s 3.5% + 0.30c. But they handle all payments and they send out payments every Friday to you. Calendly– This is something I only recently, within the last 7 months, started using. This a calendar that is super simple to set up where you can provide your customers a link to your particular calendar and they can create appointments with you based on the availability you set in the calendar. For those of you who have worked with me 1:1 you know that once you sign up you get an e-mail from me, from my ConvertKit, that provides you a link to a questionnaire to fill out and the link to my Calendly so that you may book your session start date when it is most convenient for you. You don’t have to worry about someone booking over someone, you dont have to try and match dates with a back and forth “will this work”, you simply provide your link to your customer and BAM they book. The best part about this program, in my opinion, is that it syncs to your google calendar and you can track your appointments from anywhere. The pricing for calendly is pretty fantastic too. If you simply need just one calendar event the cost is $0. Yup, 100% NO cost to you for people to set up appointments with you when you use one calendar. If you move to the next calendar option, say you need 2 calendars, the month cost is only $8 (this option provides you an unlimited amount of calendars). Coursecraft – My Biz Bestie introduced me to CourseCraft. She is the GURU of course creation. If you don’t currently follow her on social media you should! Click -> Nicole Kringstad to find her! Coursecraft is a platform where you can build and sell courses online. I have 2 currently on this platform, my FREE At Home Entrepreneur Resource Library & Content Is Cash Acadmey (25% off with promo code #MOMMIESONAMISSION). It’s got the freedom to choose colors to match your branding, the layouts of the course are clean and easy to use, the stats are very accurate, it’s all around a great platform. Like GumRoad, they do take certain fess based on the sales you make. The fantastic part about Coursecraft is that it is FREE for the first tier. There is a cap on how many participants you can have in your course, 100, there is a 9% transaction fee for this tier, and you can 2GB of upload data for free. This is a great option for someone just dipping their toes in the course creation waters. Should you want to move up to the next tier the pricing is $29 a month with 5% transaction fees, unlimited participants, unlimited data, and more. It’;s extremely affordable and is a great place to host and sell courses through. Bitly– This is the first of the great FREE things I’m about to suggest. Bit.ly helps you mask the web address of those LOOOOONNNNNGGG addresses. Rather then sending someone a link to https://athomeentrepreneur.com/2018/08/13/things-i-learned-in-a-year/. I could send them to http://bit.ly/ThingsILearnedInAYear. It sends viewers to the same site, it just looks shorter and less distracting. You don’t even need to create a personalized name for it, they provide you with a series of letters and number that are even shorter. PayPal – FREE to use, I don’t think I need to spend much time explaining PayPal to you as you know, and most likely, have been using PayPal for years now. When you make a sale they do take transaction fees out, but there is no fee to have payment links through them even as a PayPal business. My total out of pocket per month when I began was $50.95. UNDER $100 to start making money each and every month. I have since upgraded to different tiers on a number of the platforms, my e-mail list has grown, my courses expanded quickly, and I have grow to need other platforms since AtHomeEntrepreneurs conception. 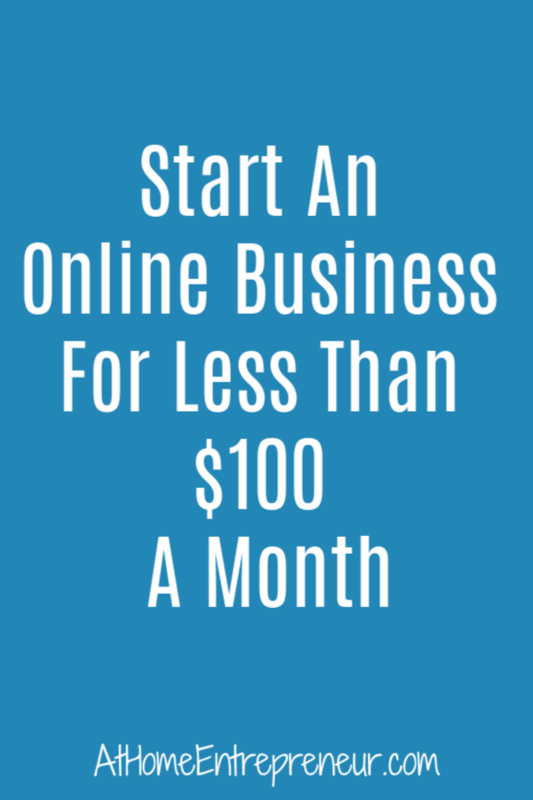 But all in all, to start an online business, it can cost as low at $50.95 a month. I hope you found this helpful. I don’t want anyone thinking it will cost them an exponential amount of money to start and run an online business because that simply is not true. Did you find some of these platforms to be new to you? What are some of your favorite tech platforms for business? If you know someone looking to start their own online business I’d love for you to share this blog with them! AFFILIATE DISCLOSURE: In order for me to support my blogging and social media activities, I may receive a small monetary compensation for links to sites from this post. However, I only recommend products that I personally LOVE and use myself! Sounds like an awesome adventure! I will definitely be checking some of these out! Your list is super helpful! Thank you for posting this. I also use Siteground and even with ad-ons it’s still pretty cheap to run my website with it. Great resource list for anyone who wants to become a Blog Entrepreneur. Such a great list of tools to get started blogging! Thank you for this! I also use Siteground and have already experienced their stellar customer service. I will be using this list and referring back to it! Gret article, I’ve bookmarked it so that I can come back to it for reference.